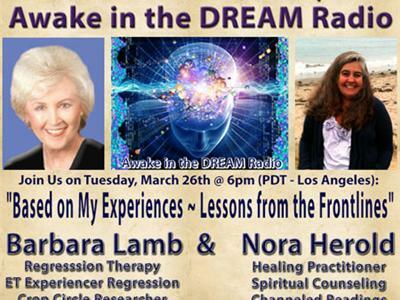 "Based on My Experiences ~ Lessons from the Frontlines"
Laura Eisenhower and Dr. DREAM are pleased to bring YOU; Awake in the DREAM Radio, our next guests are Barbara Lamb & Nora Herold. We will be having more broadcasts with two or more guests as we expand our offerings. We love the concept of cutting right to the Heart of matters and asking the key question; "Based on your experiences, what are the most valuable lessons You have learned?" 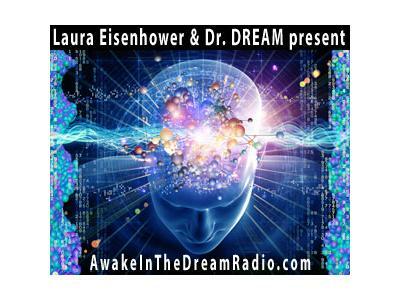 Both of our next guests will have lots to choose from as far as what they will be sharing! 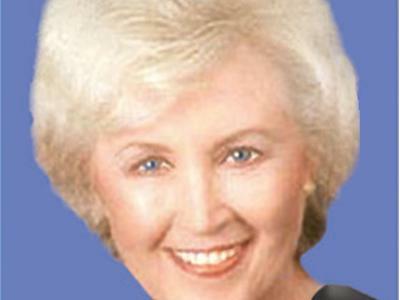 BARBARA LAMB is a Master of Science, Licensed Psychotherapist, Certified Hypnotherapist and Regression Therapist. 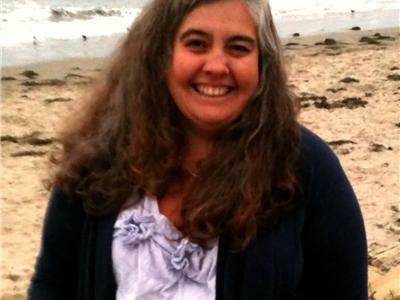 She specializes in Regression Therapy with people who experience various kinds of encounters with extraterrestrial and interdimensional beings.